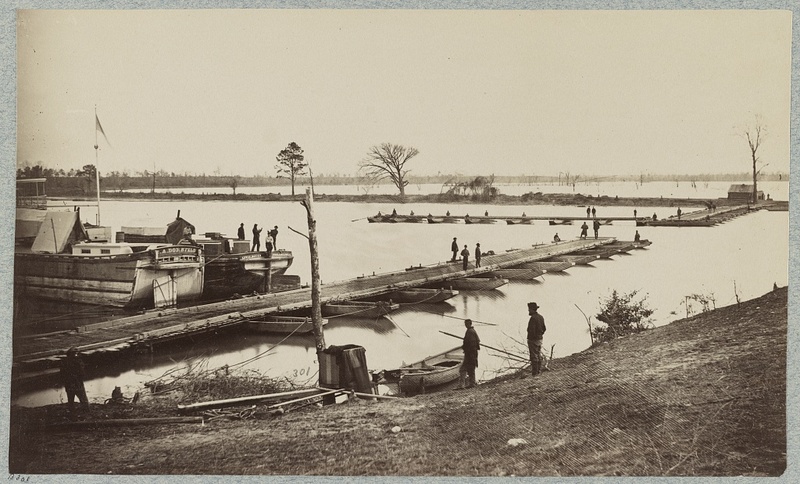 Pontoon Bridge at Deep Bottom. Courtesy of the Library of Congress. As the evening fighting tapered off, the Confederates were blissfully ignorant of the fact that over 24,000 Union soldiers were marching their way at that very moment. This entry was posted in Armies, Battlefields & Historic Places, Battles, Campaigns, Civil War Events, Leadership--Confederate, Leadership--Federal, Personalities and tagged Benjamin Butler, Deep Bottom, George Washington Custis Lee, Henry Heth, Jones' Neck, Joseph Kers, Robert E. Lee, Robert Foster, U.S. Grant, X Corps. Bookmark the permalink.